Cotton and wool make better mattresses. More than a mere slogan, the physical properties of natural fibers are just better than synthetics. In addition to being safe, non-toxic, renewable and recyclable, natural mattresses help you sleep cooler and more comfortably. Wool is the most comfortable, breathable fiber whether you’re wearing it or sleeping on it. Only natural fibers are truly breathable, and wool is among the best. When we say “breathable” we’re actually referring to the fiber’s absorption and transfer of moisture. Moisture transfer pulls heat and water away from your skin, keeping you cool and dry as you’re sleeping on a wool mattress or wearing wool clothes. Wool’s great at absorbing moisture away from your skin and cooling your body temperature. Moisture is absorbed into the fiber itself so it doesn’t feel wet. The wool fibers then release the moisture into the air and that transfers away the heat. The physics of evaporation is an active process transferring energy and heat as moisture evaporates. 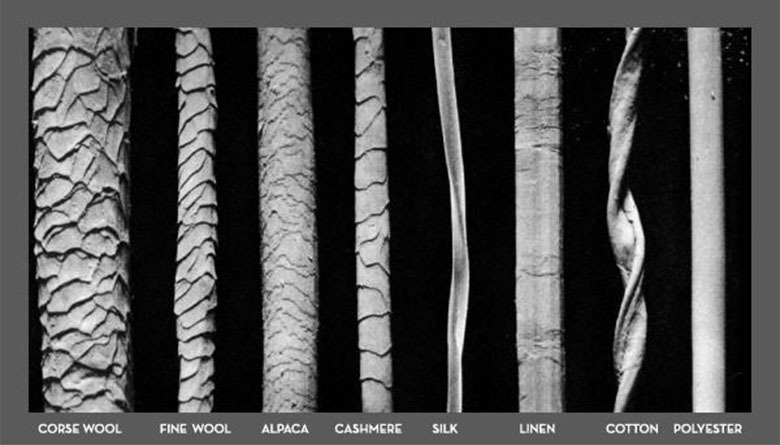 Wool fibers absorb the moisture and heat as the liquid bonds into the fiber. This is how wool helps you sleep cool. In addition, wool fibers have tiny scales trapping air in millions of little insulating pockets that also help to regulate temperature. If you're wearing or sleeping on wool in a room where the air is cold, the wool will retain the moisture and heat and help keep you warm. If the room temperature is hot, the fibers will release the moisture and heat into the air helping to keep you cool. That’s how wool keeps you warm when it’s cold and cool when it’s warm. No mattress foam can do this, only wool and other natural mattress materials. and moisture. Synthetic fibers don't. Cotton is similar to wool. It’s a plant based fiber made of cellulose strands (also called fibrils, like wool.) Cotton fibers have a porous, hollow center called the lumen. Cotton easily absorbs water and moisture - up to 9% of its weight - and still feel dry to the touch. The main difference with wool is that cotton will feel wet to the touch at lower moisture absorption levels compared to wool. Synthetics retain moisture in between their fibers creating a damp, fertile environment for bacteria to grow since synthetics don’t breathe like natural fibers. Natural fibers have important qualities not found in synthetics. Now you understand why chemical free natural fibers are better than synthetics. Synthetics are cheaper and easier to manufacture, especially in mattresses where polyurethane foams and polyester fabrics are common. But natural fibers perform inherently better. And in addition to breathing cooler and being antimicrobial, natural fibers are safe, non-toxic and environmentally friendly. Only natural materials, whether certified organic or not, can be free of toxic chemicals. A natural bed is either a 100% cotton mattress, or a wool and cotton blend. You can find organic mattresses which are very expensive, or natural mattresses with some organic components. Some retailers include latex which is derived from trees and can even be certified organic. But latex foam does not breathe and cool like natural fibers. Natural sleep is healthy sleep.